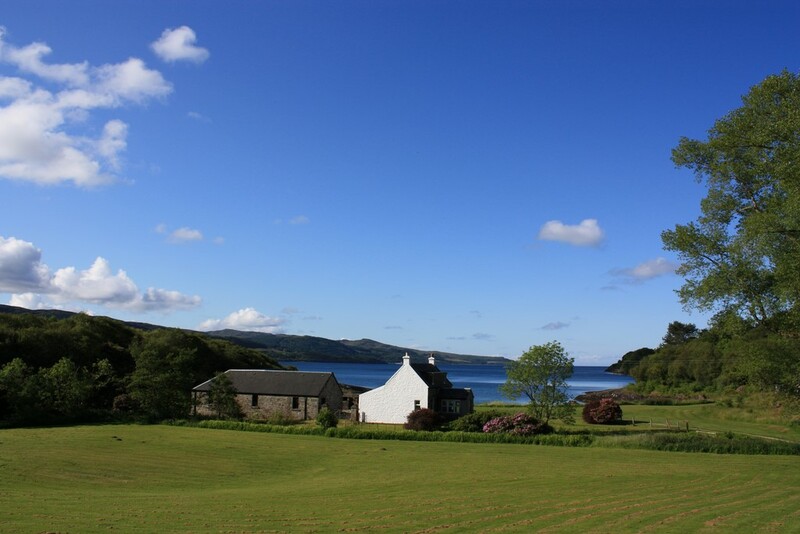 Ellary Farmhouse is one of our most popular cottages, situated on its own between two beaches. There is a courtyard area with a gate for exclusive use of Ellary Farmhouse, which is ideal for families with dogs etc. There is an outbuilding, ideal for keeping bikes etc in, and a covered part to the courtyard – ideal for keeping canoes/boats in if you bring them. There is also a large fenced grass area to the front of the house. At ground floor level, the cottage has a generous sun lounge with views out to the beach/loch, living room with open fire and dining area, kitchen with dining area (including fridge, freezer & washing machine), bathroom with electric shower over the bath, and the spacious master bedroom with sea views. Upstairs there are two comfortable twin rooms. The cottage is conveniently located for the harbour.